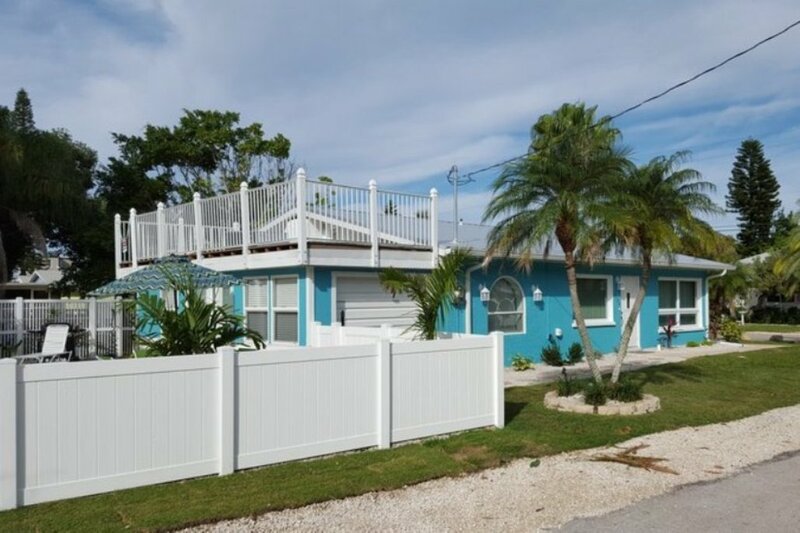 Vacationers who like the old Florida ambiance of Anna Maria Island, Bradenton Beach in particular, will fall in love with this adorable two-bedroom, two-bath ground floor home tucked away on a quiet street just a stone's throw from both the Gulf of Mexico and Anna Maria Sound. 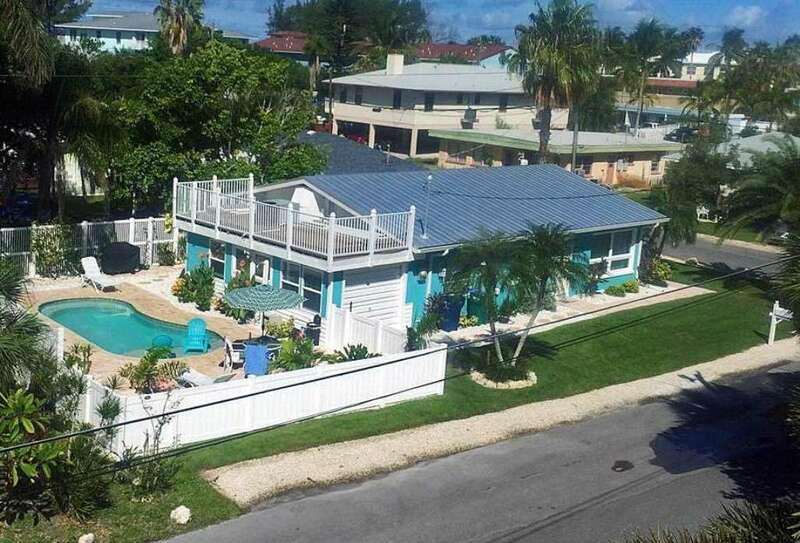 Its owners have lovingly reinvented this charming home, much to the benefit of anyone looking for a great and affordable place to call home while at the beach! You'll love the big, comfy furniture, the large flat-panel TVs in every room, the super fun game room, and the all-weather indoor/outdoor dining room overlooking the pool. Family fun awaits! The master bedroom features a king bed and en suite bath, while the second bedroom features twin beds. The second full bath is located off of the living area for easy access. A full size sleeper sofa can be found in the game room. But the fun doesn't stop inside! The brand new heated pool will be everyone's favorite spot. Set up your chairs in the water on the shallow sun shelf, then jump in to cool off and play with the kids. For a little more adventure and sea breezes, head over to the beach--it's only a block away! My family and I really enjoyed this home. The layout and space were just what we needed. The amenities provided were above and beyond what we expected. The owner really makes sure that you have everything you need to enjoy your stay in this home. The only thing not used was the dining area off of the game room. It was very hot in there, and we were unable to utilize that area for dinners and socializing. It would be nice if there was a cooling unit for that area in order for it to be used. Other than that, we loved this home. We will definitely be booking it for our next trip. Usually we stay in a beach front condo, but we booked this property because we were going to bring our pomeranian with us on vacation. Later, we decided not to bring her. This cute house did not disappoint! It was nicely remodeled. It had a very nice outdoor area with nice landscaping and a beautiful pool in the backyard. While we were not beach front, it was a short walk to the beach, and it was nice to walk out the door and have the pool right there. For the TV lover, there were TV's in every room, which was nice because the Olympics were on the week we stayed. Ken, the owner, stopped by twice to make sure everything was ok. Its nice to know the owner cared about the property and the renters, and that it wasn’t just an another investment . 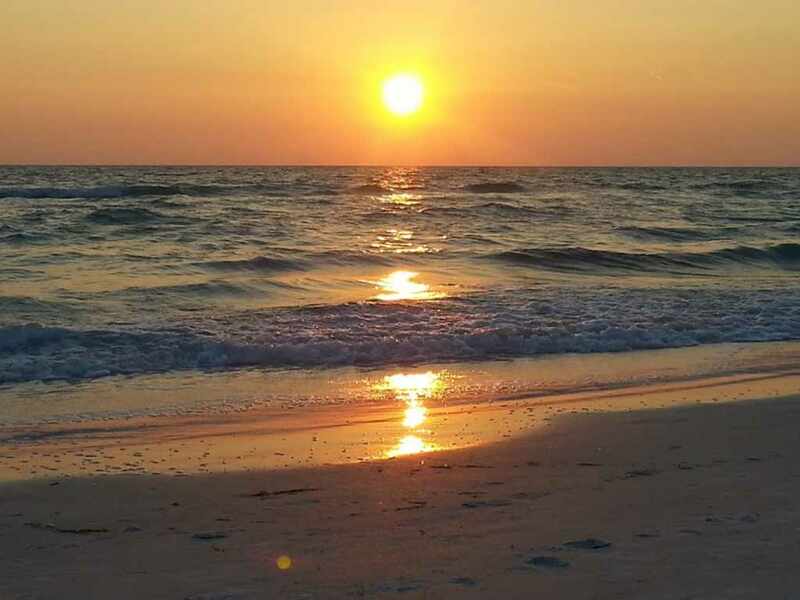 We have been told to visit Anna Maria for a while by some friends who visit every year. We finally made the trip this year and could not have been happier with the island and the house. The house is very clean with new furniture and updated appliances along with everything else. Having your own pool to walk out to is a huge plus as well. Especially with having a 3 year old little boy who loves to swim! The beach is no more than a block away and a beach wagon is included with the house to load all your gear on which was a huge help! Gulf Dr. Café is a short walk right around the corner if you want to eat and drink right on the beach. The house is in a perfect location. The staff at Beachrentals.mobi made the stay much easier and are very accommodating. We drove the 8 hour ride from Aiken, SC and it was worth it. We are planning on returning next year to the same house! Michael Bodie, Aiken, SC.